Ships tomorrow if you order in the next 24 hours 26 minutes. Even the healthiest of people can get aches and other discomfort after exercising or doing other things they love. If this is happening to you, and you've been in search of a solution, Solaray may be able to help you. 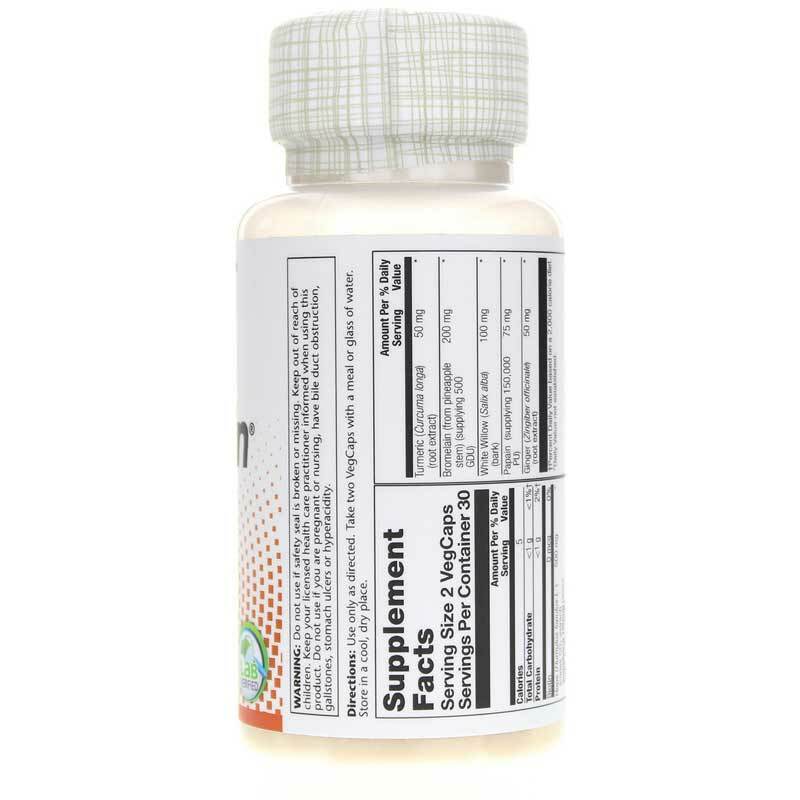 Extra Strength IbuActin provides all-natural support for the relief of discomfort and is G.I. friendly. Weak, sore, and otherwise unhealthy joints can keep you from living your life on your terms and doing the things you love. Don't let that happen. 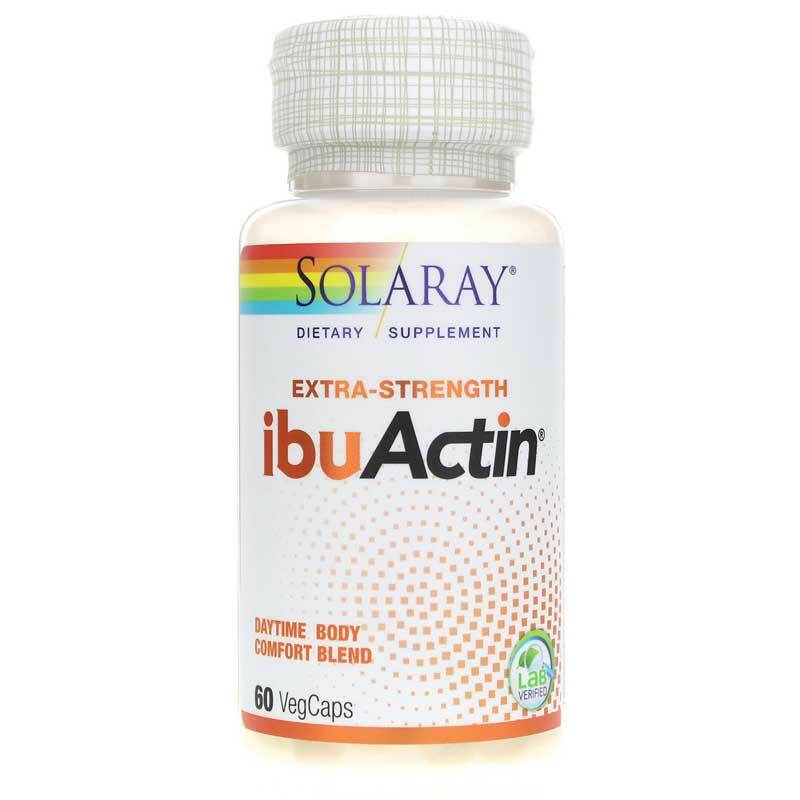 Choose Extra Strength IbuActin from Solaray today, and stay on the all-natural pathway toward optimal overall health and an increased sense of wellness. Order yours now! Other Ingredients: maltodextrin, vegetable cellulose capsule, food starch, magnesium stearate, silica. Adults: Use only as directed. 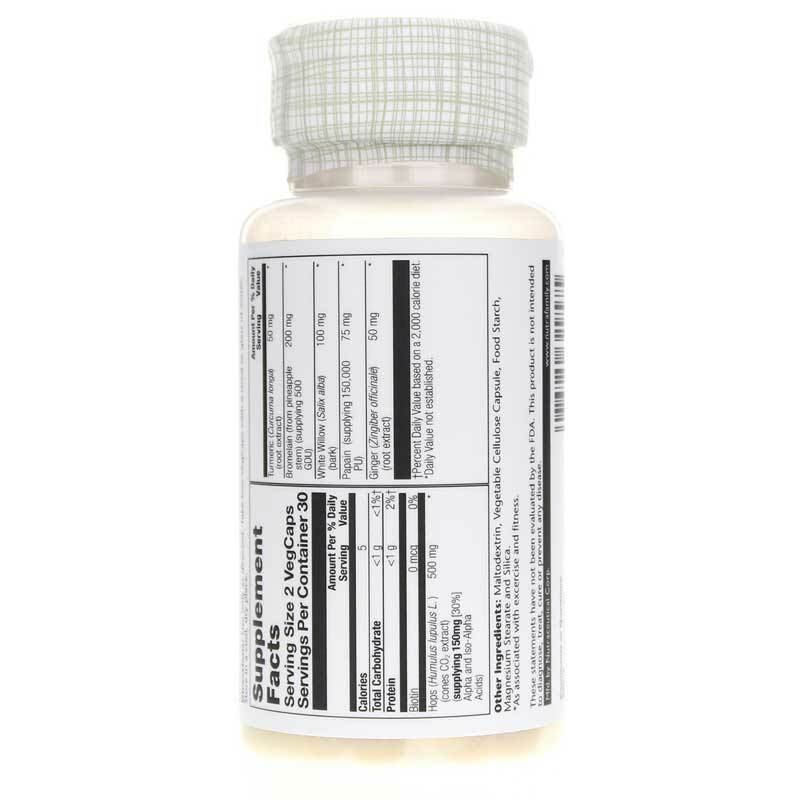 Take two vegetarian capsules with a meal or glass of water. Store in a cool, dry place. Do NOT use if you are pregnant, have bile duct obstruction, gallstones, stomach ulcers or hyperacidity. Keep your licensed healthcare practitioner informed when using this product. Keep out of the reach of children.